GIC S*Silveronyx Aprilia – Our Hawaiían Princess Kaiulani born 2010-11-10, MCO g 03 24 ( bluetortiespotted bicolour) . 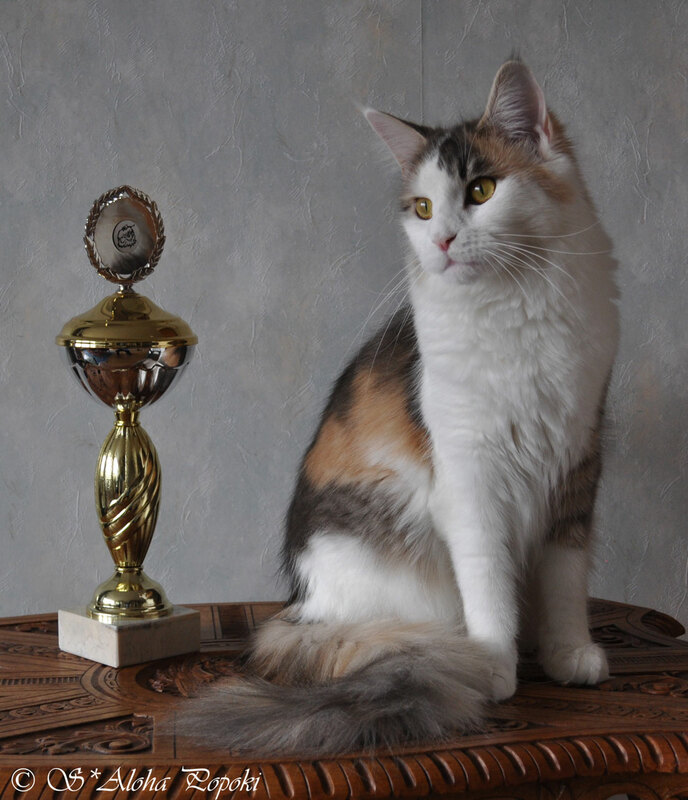 We are following Pawpeds health program and test our breeding cats for HD and HCM before mating. S*Silveronyx Ducati es 24 - cremesilverspotted.